This post is number five in a series, each based on a question or questions asked by the co-author of this pilot program, Jen Miller-Taylor. In the Fall of 2016, Jen was an experienced teacher but new to Kindergarten. She declared intent to bring the principles of the Reggio Emilia approach to her Title One public school classroom. 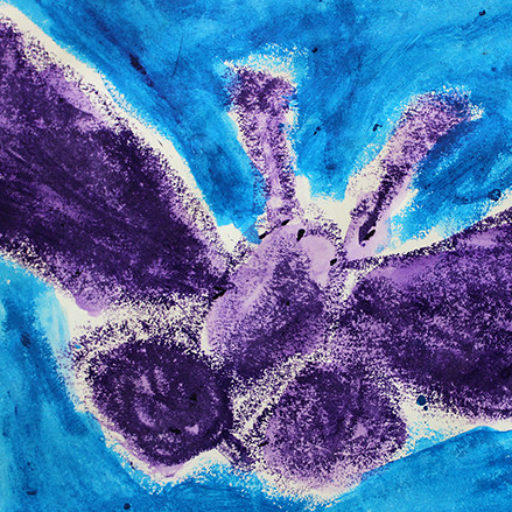 Our collaboration resulted in the formation of a pilot program to take elements of the Reggio approach beyond Jen’s classroom at Bensley Elementary School. Listening, observing, and documenting are but some of the tasks required of us in this way of teaching and learning, and they are necessary but not sufficient. The search for meaning in what we have heard, observed, and documented is another. Because decisions about what experiences or materials to offer children next are based on that meaning/interpretation, it is important to distinguish between assumptions and hypotheses about children’s intent. That is, are you jumping to conclusions about what intrigues children about a topic they are exploring? Are you deciding too quickly that you understand? Even slowing down enough to say, “I wonder what’s really happening here?” to yourself or, even better, to discuss it with a colleague, can give you the mental space you need to slow down. So often, teachers notice children’s interest in a topic and jump in with two feet, forgetting to ask themselves what the interest is really about. Say a group of children find a bird’s egg on a walk in the neighborhood. Is the teacher’s first impulse to offer information about birds and invite children to make nests? If so, I propose she has assumed she understands too quickly. ARE the children actually interested in the egg beyond the act of finding it? To find out, the teacher can observe the children with the egg for a while and/or initiate a conversation with them about it. Does she observe emotion and/or an intensity of interest? 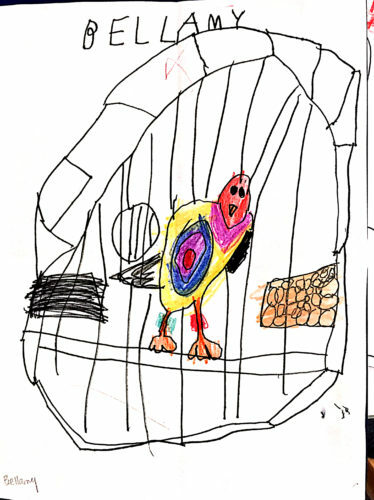 Does conversation or representation (including play) about the egg keep emerging? Is there contagion around the topic, even among children who weren’t there when the egg was found? Assuming the answer is yes, the next question the teacher can ask is, “What is so fascinating about the egg?” Or maybe by now the interest has shifted to some other aspect of the topic…the baby bird? or maybe even the secret-ness of a being inside a shell. 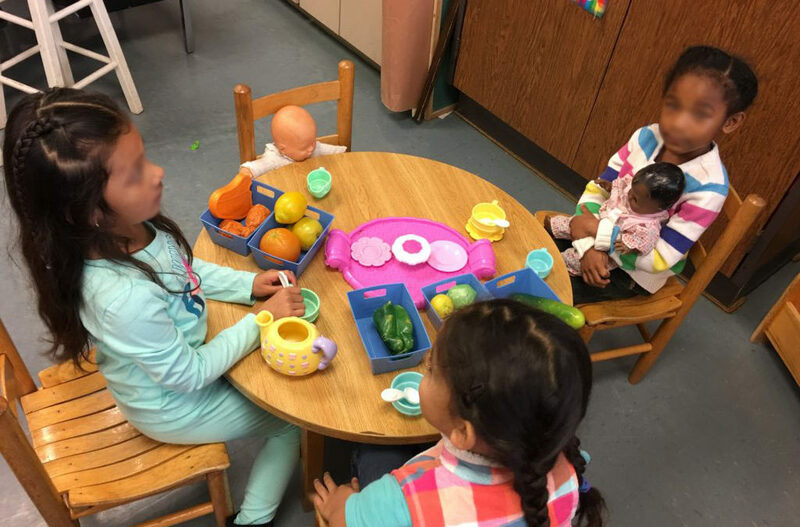 When several possibilities come to mind about the children’s intent around a topic of interest, the teacher might offer a provocation to test one. And then she listens, observes and documents some more. I call this process “reading children’s intent,” and it is fundamental to supporting children’s sustained investigation. What follows is dialogue around two pieces of dialogue from Jen’s and my work together last Fall, about creating the time and space for reading the children’s intent. Oh, yes, there is such JOY in getting to know a child…to recognize his intelligence, his KINDNESS, his role in the community of learners. I love that I am getting to experience this joy vicariously through you and your little ones. So I am already thinking about next week…. [The] girls are really into “tea parties” in housekeeping. I thought about setting up a provocation (I think that is the word you use???) with tea cups, tea pots, real tea bags with different smells, and “fancy” paper since they have made invites recently. Can you think of anything else that might spark creativity? Yes, provocation is the word. Good for you for recognizing the opportunity! So, what we do when we see children playing or representing an idea over and over, and/or doing so with a particular energy and passion, is recognize the potential for even deeper engagement and learning. There are two reasons for offering a provocation at this point. One is to help the children go deeper into the idea. And the other is to learn what they are really saying they’re interested in. And it’s not always what it appears to be. So, if they are having tea parties maybe they are really interested in the tea aspect. But maybe they are really interested in the “inviting” aspect…which may be an investigation, of sorts, into relationship. Maybe they are developing a “language” to use with each other for the sake of building and sustaining relationship. There are many possibilities. So a provocation could help you figure out what the big idea really is, so you can support it. The process for the teacher is first making the best guess you can about what the children’s intent is (you can’t ask them…they don’t know either!). And offer provocation based on that guess. So…is it tea, do you think? Or writing invitations (I remember they were incorporating drawing/writing in their dramatic play the first week)? Or gathering as many people as possible through the invitations? Or something else? I *think* it is the act of cooking and serving the food to others that bring [the girls] together in the kitchen area. They frequently show me their meals and what they included in them. They call their meals “tea parties,” but there is not one thing in that kitchen set up that represents traditional tea parties. They have done the writing extensions a few times, but it is not on a daily basis by any means. This is my best guess at the moment. A provocation can serve to affirm your guess. Maybe you’d like to offer materials for representing food. I don’t know if you want loose parts, but if you do, things like glass blobs are very satisfying to stir and serve. And to count if someone orders 10 cookies. Pads for taking orders could be useful. The children can generate words for the food they will serve and they can be displayed either in a mini word wall or a menu, though it might be nice if they were on cards and therefore movable. Little aprons. Trays. Tablecloth (or big paper so they can make one). See where it leads. That’s what comes to my mind at the moment. Jen invited the children to represent the park they visited with natural materials, some of which the children collected at the park. Ah, I think you may be succumbing to the syndrome many Reggio-inspired teachers do in the beginning! It is so tempting to race ahead with a million ideas…which is part of the process mentally. But then, when we’ve collected those million ideas we have to stop and store them away. Because the children will show us a million-and-first idea, which we can only recognize if we have done the preparation of having and storing away that first million. At the moment, the children are working on collaborative mapping of the park with natural materials. 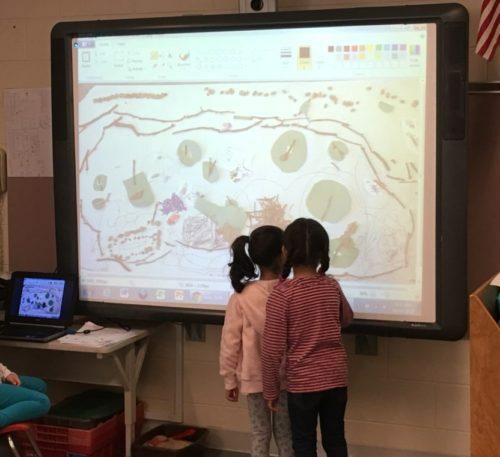 From there, you said you plan to display the map on the Promethean board. Do the children want to play on the map? Or was the making the most important piece of the project? (Maps require “birds-eye” view, which I found an interesting connection with the blue herons they’ve been drawing.) Will they make other maps, through drawing or with the natural materials? It would be interesting to see what will happen when, after the park map is finished, you were to put those natural materials on a table with mats or big paper. 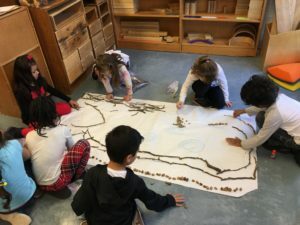 Does D bring “cities” to paper or blocks or map making? Is there city contagion? The risk of racing ahead of the children is that you’ll leave them behind instead of walk alongside them.